Wealth Solutions Partners Ltd is an independent investment consulting company based in Geneva, Switzerland that focuses on selecting fund managers, and portfolio solutions for Private Banks and Wealth Managers. The company is led by Hervé Croset, Antonio Carballo and Philippe Darbellay. We are a team of successful experienced professionals with deep knowledge of sophisticated customer needs gained through more than 60 years of combined experience in asset management fields. We succeed by inspiring trust; demonstrating a culture of independency, knowledge and freedom of judgment, aligned to the values of our customers. We aim to connect your business with the most advanced investment solutions worldwide using our internal expertise as well as our network of knowledge. We partner with leading institutions that bring cost efficient solutions and added value for our customers. Our business partners have global reach and solid track records in fund selection, portfolio management, infrastructure services and risk control. We can advise in French, English, German and Spanish. 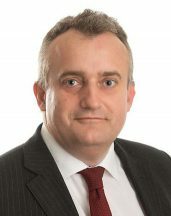 Hervé Croset has worked in various countries and cultures (New York, London, Hong Kong, Kuwait) for the largest financial corporations such as UBS, CS First Boston, HSBC. He started his career by managing multi-assets portfolios, then he was responsible for teams of portfolio managers dealing with assets of private as well as institutional investors. In 2001 he joined HSBC to lead advisors looking after portfolios of UHNWI investors. Lately he led the global fund selection for the HSBC Private Bank Group. He built that expertise based on his own experience in asset management to supervise a portfolio of more than $17bn of assets in third party funds. He was elected as one of the top 100 most influential wealth managers in 2015 by the WM Wealth Manager magazine. Hervé Croset is a CFA charterholder and has a Master Degree in Banking Management from the Swiss Finance Institute, Zurich, a BSc in Politic Economics from the Geneva University, as well as a Degree in Engineering. 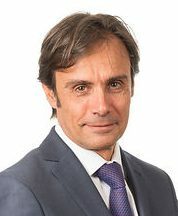 Antonio Carballo was responsible for Investment Products sales in a European Bank. He joined a large financial institution to head the fund selection team for advisory and discretionary mandates in Paris. Lately he joined Hervé Croset’s team at HSBC Private Bank Group as a senior Fund Analyst and Fund Advisor. He was ranked in the Top 10 of Best Newcomers in 2010 for Asia ex Japan Equity Portfolio Managers by Citywire. He has performed weekly live radio comments on Asian Equity markets for BFM Business – Integrale Bourse. Antonio holds a MSc in Banking and Economics from the University of Paris X, Nanterre and a BSc in Business Management from the University of Paris I, Pantheon-Sorbonne. Philippe is Partner of Wealth Solutions Partners since February 2017. He has more than 20 years of experience in the Investment industry, working for well-renowned financial institutions in Geneva and London. 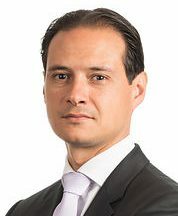 Before joining Wealth Solutions Partners, he worked as Senior Fund Analyst at Pictet & Cie SA for nine years, responsible for the selection of US equity funds and fixed income strategies for the Wealth Management clientele. He was also Portfolio Manager of an absolute return fund of fund, promoting and investing in emerging and talented Fixed Income managers. Prior to that, Philippe started his career as Credit Analyst and then Portfolio Manager at Unigestion, managing High Yield and Convertible Bonds strategies. In 2005 he worked as an Investment Manager on a correlation desk for a hedge fund group, moving two years later to Winchester Capital, a financial group established by Deutsche Bank to take proprietary positions in credit derivatives transactions. We partner with leading institutions that bring cost effective solutions and added value for our customers. Our business partners have global reach and solid track records either in fund selection and portfolio management, or in infrastructure services and risk control. We have identified fund selectors with more than 15 years in fund selection. They cover the world’s top financial markets and asset classes from worldwide locations. We partner with the most experienced teams in their field, demonstrating no conflict of interest, strong resources of at least 20 to 30 investment professionals dedicated to fund selection or portfolio modelling. Our large set of resources comprises data providers and technology platforms to source customers with the best-in-class products, services and processed information. We work closely with our partners to find creative, innovative ways of thinking and investing. Our business partners share the same mindset and investment philosophy: we focus on customers’ needs, we service them with the highest standard of wealth management services. Using leading analytical tools and research, allows us to deliver a comprehensive recommendation pack, along with a full set of advisory services across a wide range of portfolios and underlying assets such as: Regulated Alternatives, Mutual Funds and ETFs. Our organisation comprises more than 30 highly skilled people at arms length for our customers to access. They apply a thorough process to give you the most appropriate investment solutions. Our large network of resources allows us to access data providers and technology platforms to source customers with the best-in-class products, services and processed information at any point in time. Our distinctive position in the industry guarantees us to access key research from prominent as well as exclusive asset managers, or academic research from across the US, Europe and Asia.